Pewaukee, Wisconsin. Artisan toffee and chocolates are the gourmet sweet specialties of Sweet P's Pantry. 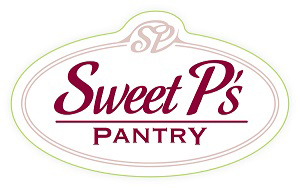 Owner Sharon Pavich ran a catering business for 15 years and then opened Sweet P's Pantry. Her talent for creating and love of everything homemade has transformed traditional confections into new favorites. Using only natural ingredients and many Wisconsin products, Sharon created toffees, chocolates and confections that taste like Grandma's cooking.